P3 did get FES and P3P! It’s a pretty big stretch to say ‘not much love’…. all the whoring out of P4 has only really taken place since 4.11.11, just over a year ago. Before that, the p4 fandom barely had a manga to go off of (since it seemed to get cancelled every few months). P3 always got more attention since it was more popular over in japan, while p4 was more popular in the states. Also, the counter is just a clock. No idea if anything happens at midnght – i dont think anyone’s gotten that far- but it’s just lined up with japantime. I’m a bit worried about the movie, tbh. The p4 anime seemed rushed at the end, and that was with 25 episodes! I can’t imagine them covering all of p3 in one movie without making serious cuts. And 25 Episodes for the anime!? Damn. Considering the length of P3 and 4, they could literally have it be a Season… per Season! It’s one of those games that would be hard to cut content out of when adapting to other forms of media. And I’m with ya on the movie. To have the P3 movie be just a retelling of the game would be a massive injustice to the themes, characterization, and narrative of P3. Heck, they didn’t even actually FIT all of p4 into the anime. They left out the true end, which they’re gonna try to fit into a bonus episode on the final dvd in august. a lot of fans were pissed about that, including me. >:I they glossed over a lot of boss fights and dungeons too, while giving full attention to filler episodes…..it was a bit confusing, what the goal of the anime was. and no prob! although in comparison to the WAVE of new p4 merch, an epilogue and a port/adaption isn’t much. they now have special p4 soda cans out. soda cans!! considering the whole THEME of p4 was about the media and consumerism and people just accepting whatever’s presented to them, all the extra p4 merchandise is a bit….ironic, i guess. Hahaa, that is pretty ironic! I was about to respond to the “not much love” comment, but it seems like I was beaten to the punch. 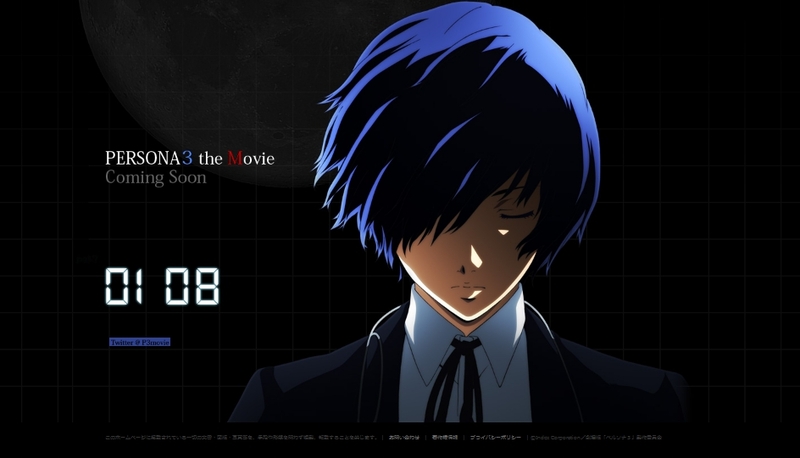 I agree with the both of you though, a Persona 3 movie adaptation doesn’t sound like the best idea. I didn’t watch the Persona 4 anime just because I figured they couldn’t fit it all in and, after reading Mori Rene’s comments, it seems I was right. However, if this movie turns out to be something that will expand the story, similarly to what Persona 4 Arena is doing, then I’d be willing to give it a chance. I personally enjoyed Persona 3 more myself, so I wouldn’t mind revisiting the world and characters. Then again, after all the post-FFVII stuff Square Enix did, sometimes it’s good to leave well enough alone. I actually do remember Trinity Soul…. though at the time I wasn’t sure if people saw it as canon (despite the nods to P3), so I left it out. I actually liked that anime when I first saw it. It’s got its flaws, but it was good.